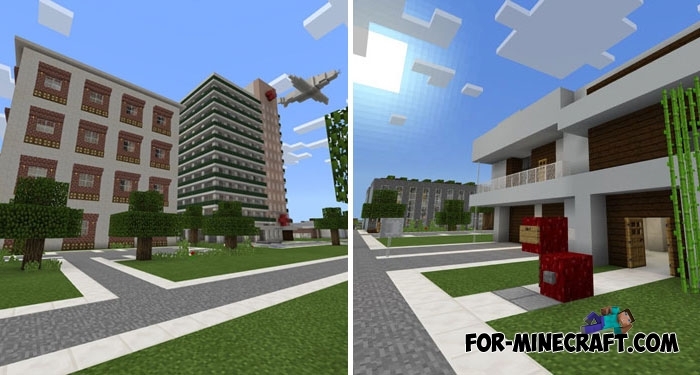 If you do not know but the small town was one of the first maps for Minecraft Pocket Edition and at that time it was a hit. To date, many different cities have been implemented from the tiny to the giant such as NXUS updated for MCPE 1.2.14. As for Elmsville, it is small but has a roleplay-oriented direction city. 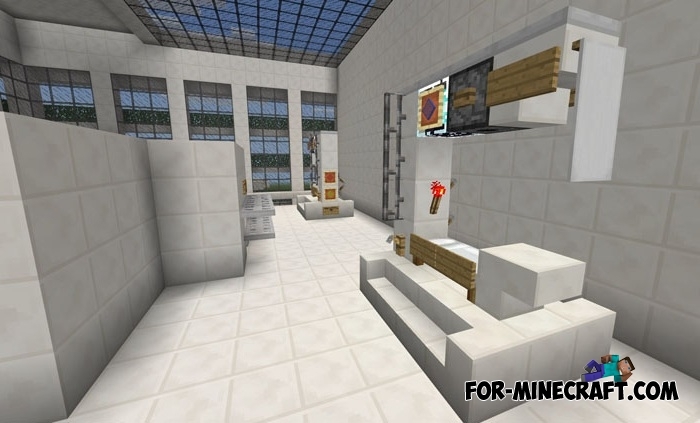 This means that players will not idly wander the streets if you want to install this map on a MCBE server. Elmsville offers to be a part of social life and also to do what you love. Get a job and earn your first money that you can spend on consumer items. This version of the city can not be compared with thousands of blocks megacities, but for the city this is not the main thing. It immerses every inhabitant in the city bustle, work, entertainment and small quests.